The Austria Juice & IBA New Product Development Unit has started its work. Its members have exchanged via Skype, phone calls and emails over the past months. 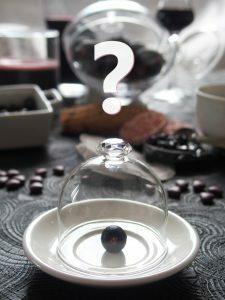 Now, an exciting project is already under preparation: a blackcurrant smoothie contest! there is no doubt: something with blackcurrants MUST happen there! We have therefore decided to organize a smoothie contest. Because smoothies are healthy, in fashion everywhere, perfect for a hot summer day. And perfect also for sportspeople. Many of you know already that blackcurrants have wonderful effects on sportspeople’s performance. Blackcurrants reduce muscle fatigue, increase fat burning and improve recovery after exercise. These are already enough reasons to combine Tour de France and blackcurrants. 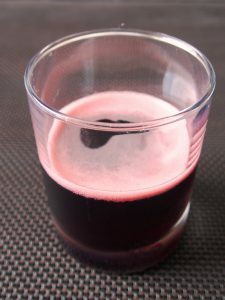 Several food bloggers will prepare their version of the best blackcurrant smoothie over the whole day. The people in Nuits-Saint-Georges at that moment will be served a few sips of each and they will vote for their favorite smoothie. Finally, a panel of food professionals will separately vote for the best smoothie. This event is a wonderful occasion to make bloggers and other food professionals, as well as end consumers, get aware of what they can do with blackcurrants. A nice opportunity for our superfruit to get publicity among a huge number of people. This all sounds nice? No, not only nice, but great! We are therefore thinking of repeating the same event in more cities, other countries, with different participants. And why not with other ingredients and for other preparations? We can duplicate the same kind of contest anywhere, at any time, and for any product. We can well imagine a contest for the best blackcurrant pastry. Or another one for the best blackcurrant ice cream. If not a blackcurrant smoothie contest, then a blackcurrant dish contest. We will see how the first event turns out, and then think greater! Learn more about the IBA & Austria Juice New Product Development Unit. This idea of a food contest has come up while we were thinking of new blackcurrant products for the world’s market. Current food trends (snacking, healthy food, less sugar, organic, ready-to-use…) encourage us to think that blackcurrants have a wonderful potential here. Too many end products do not exist yet, or only in a limited number, or in a few countries. Given the growing awareness of people about its health benefits, the market for existing products could increase through exports. 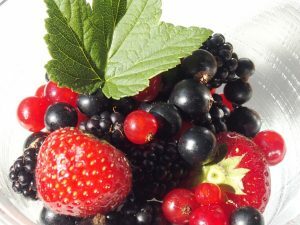 New end products could also be launched: like ready-made smoothies with blackcurrants. Or blackcurrant chocolate, or energy drinks, or energy bars? They do exist with cranberries and blackberries – why not with blackcurrants? Yet, we all know that the health benefit of blackcurrants is much higher than these fruits! Moreover, the price of blackcurrants is much lower, as they are easier to grow and harvest. Who will launch this kind of products? When will we have blackcurrant granita or blackcurrant coulis in one of the huge global fast food chains ? Another concern is: how can people cook with blackcurrants, if they cannot find them in the market? Where are dried blackcurrants? 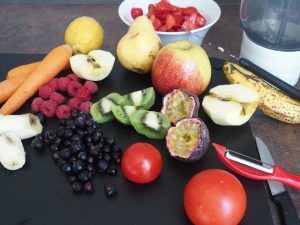 Or a fruit mix for the preparation of smoothies? Or simply: frozen blackcurrants – which are mostly unavailable in many countries…. When will we finally see blackcurrants in several forms (frozen, fresh, dried, powders) over the whole year in our supermarkets, so that anyone can buy them at any time? Will we improve the availability of blackcurrants in the future? Yes, blackcurrants mainly go into the production of juices. And therefore, the biggest part of the yields ends up as blackcurrant concentrate. We are now launching a blackcurrant smoothie contest, but the smoothies have to be made with concentrate, because nothing much else is available. And even if people like our blackcurrant smoothies, how can they make it themselves – without blackcurrants? They will not find concentrates or purees, no frozen blackcurrants, and not even pure juice (without water and added sugar) – just a few blackcurrants during the 3 weeks of harvesting. We want to sell more blackcurrants, but we don’t offer a sufficient range of products to the end consumer – there is still a lot of work to do! This is a huge challenge for Austria Juice and the NPDU – and hopefully for other research and development units.